Workshops take place in the Philosophy Library on Friday afternoons throughout the year. The workshop series offers students, faculty and periodic visitors an opportunity to present and discuss their work in progress before an appreciative audience of their peers. Three discussion groups for faculty and graduate students meet weekly — one in ethics; one in philosophy of biology; and one in logic, language, epistemology, and philosophy of mathematics. Members of the department also are involved in the cognitive science discussion group. The Philosophy Department occasionally holds philosophy conferences in which visiting speakers present their research. These conferences attract participants and audience members from many different institutions as well as from UC Davis. 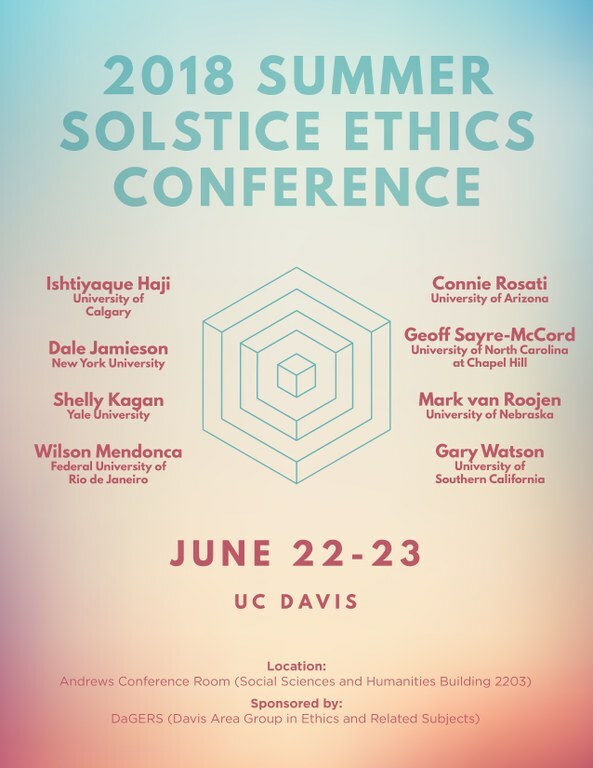 Annual conferences include DEX (Davis Philosophy Conference) and the Berkeley-Stanford-Davis Graduate Philosophy Conference.